Doctors in California say as many as 25 children are suffering from a mysterious, poliolike virus that is leaving them with paralyzed limbs, USA Today reports. The cause of most of these cases is not known, health officials say. The average age of the children is 12. "What we're seeing now is bad," Keith Van Haren, a pediatric neurologist at Lucile Packard Children's Hospital in Palo Alto, told the newspaper. "The best-case scenario is complete loss of one limb, the worst is all four limbs, with respiratory insufficiency, as well. It's like the old polio." Symptoms include loss of the ability to move limbs, which leads to atrophy and causes muscles to shrivel. "They just dangle, like empty balloons," Van Haren said. The first known case appeared in Oakland in 2012, prompting health officials there to monitor case files, according to the report. Two more were recently discovered in the San Francisco Bay Area. According to Van Haren, the total number is "in the neighborhood of 25," all in California. "This is really very rare," Van Haren said. "But we are asking any families who notice a sudden onset of weakness to see their doctors immediately." The California Department of Public Health has asked health care providers to report any poliolike cases, too. Polio, an infectious disease that invades the nervous system and mainly affects young children, became one of the most dreaded diseases of the 20th century in the United States. 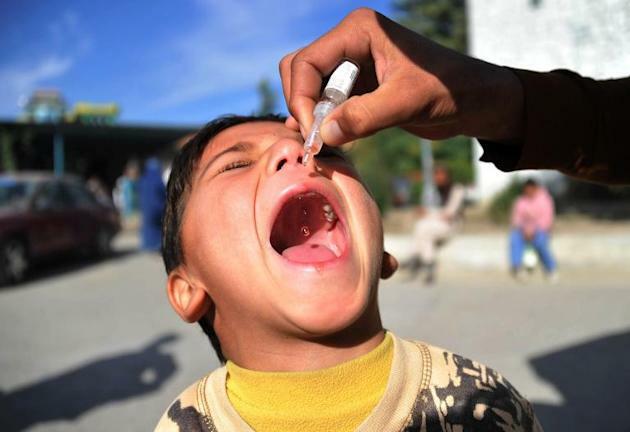 There is no known cure for polio, which is "mainly spread by person-to-person contact and eating or drinking items contaminated with the feces of an infected person," according to the Centers for Disease Control. A vaccination was developed in 1954 and a global push to eradicate the disease, launched in 1988, resulted in a sharp decline in polio cases. According to the World Health Organization, just 223 cases were reported in 2012. In 2013, a polio outbreak in Syria resulted in more than 60 suspected cases. Officials blamed the outbreak on a lack of vaccinations in the war-torn country. Van Haren said additional tests confirmed the affected children in California "definitely do not have polio." Cases of the mystery virus have been limited to California so far, but "that's only because no one is looking for it," Van Haren said. "My goal is to get the word out to other neurologists, to make them aware of this," he said.